LOLcat – putting words on them makes it funny! Here you will find pictures of the funniest lolcats on the web, usually with a brief explanation. Pretty soon you’ll understand why this is funny. 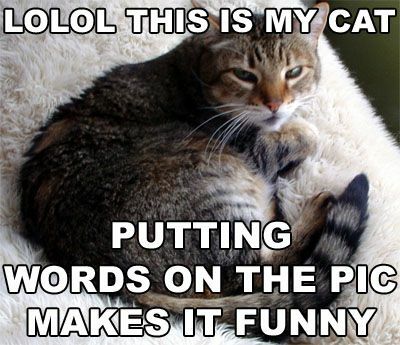 If you have no idea why this is funny, why not check out the guide to lolcats page.